Get some historical perspective at Alcatraz Island and SS Jeremiah O'Brien. Get in touch with nature at Muir Woods National Monument and Pinnacle Gulch Coastal Access Trail. Change things up with these side-trips from San Francisco: Armstrong Redwood State Reserve (in Guerneville), Hagemann Ranch Trout Fishing (in Bodega Bay) and Castello di Amorosa (in Calistoga). And it doesn't end there: snap pictures at Golden Gate Bridge, make a trip to Golden Gate Park, take your sightseeing to a higher altitude at Twin Peaks, and tee off at Lincoln Park. For traveler tips, more things to do, reviews, and tourist information, refer to the San Francisco trip planner. Brisbane, Australia to San Francisco is an approximately 18.5-hour flight. You can also do a combination of flight and train. The time zone difference when traveling from Brisbane to San Francisco is minus 18 hours. Traveling from Brisbane in March, expect San Francisco to be slightly colder, temps between 21°C and 11°C. Wrap up your sightseeing on the 5th (Thu) early enough to travel to Portland. Visiting Columbia River Gorge National Scenic Area and Astoria Column will get you outdoors. You'll discover tucked-away gems like Haystack Rock and Multnomah Falls. Venture out of the city with trips to Seaside Inverted Experience (in Seaside), Cascade Locks (Starvation Creek State Park, Elowah Falls, & more) and Cape Horn Lookout (in Stevenson). There's much more to do: tour the pleasant surroundings at Cannon Beach, trek along Eagle Creek Trail Park, take in the architecture and atmosphere at St. Mary's Catholic Church, and admire the sheer force of Young River Falls. To see traveler tips, maps, reviews, and more tourist information, read our Portland day trip planning site . You can fly from San Francisco to Portland in 4 hours. Other options are to do a combination of train and flight; or drive. In March, Portland is little chillier than San Francisco - with highs of 16°C and lows of 5°C. Finish up your sightseeing early on the 10th (Tue) so you can travel to Seattle. Get outdoors at Denny Creek Trail and Murhut Falls. Discover out-of-the-way places like Staircase Rapids Nature Trail and Theler Wetlands Belfair Nature Preserve. Step out of Seattle to go to Snoqualmie and see Snoqualmie Falls, which is approximately 58 minutes away. Dedicate the 12th (Thu) to wine at some of the top wineries in the area. The adventure continues: take in the exciting artwork at Chihuly Garden and Glass. To find reviews, traveler tips, more things to do, and other tourist information, use the Seattle road trip planning website . You can fly from Portland to Seattle in 3 hours. Other options are to drive; or take a bus. In March, daytime highs in Seattle are 15°C, while nighttime lows are 6°C. Wrap up your sightseeing on the 14th (Sat) to allow time to travel to Missoula. Missoula is a city in the U.S. Your inner history buff will appreciate St. Ignatius Mission and Garden of One Thousand Buddhas. You'll explore the less-touristy side of things at Discovery Ski Area and Salmon Lake State Park. 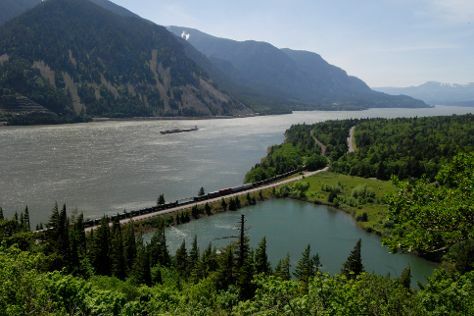 Explore the numerous day-trip ideas around Missoula: Lee Metcalf National Wildlife Refuge (in Stevensville), Placid Lake State Park (in Seeley Lake) and Bear Creek Trailhead (in Victor). There's still lots to do: take your sightseeing to a higher altitude at Mount Jumbo North Peak Trail, stroll through Silver Park, take in the architecture and atmosphere at St. Francis Xavier Church, and cast your line with a fishing tour. To find ratings, where to stay, more things to do, and tourist information, read Missoula online road trip planner . You can fly from Seattle to Missoula in 4.5 hours. Other options are to do a combination of flight and car; or drive. Due to the time zone difference, you'll lose 1 hour traveling from Seattle to Missoula. Prepare for little chillier weather when traveling from Seattle in March: high temperatures in Missoula hover around 11°C and lows are around -2°C. Wrap up your sightseeing on the 19th (Thu) early enough to drive to West Yellowstone. Kick off your visit on the 20th (Fri): look for all kinds of wild species at Grizzly and Wolf Discovery Center and then get a dose of the wild on a nature and wildlife tour. Keep things going the next day: get outside with Madison River Outfitters and then take in the awesome beauty at Two Top. You can plan West Yellowstone trip in no time by asking Inspirock to help create your itinerary. Getting from Missoula to West Yellowstone by car takes about 4.5 hours. Other options: fly; or do a combination of flight and shuttle. Expect little chillier temperatures when traveling from Missoula in March; daily highs in West Yellowstone reach 3°C and lows reach -9°C. Cap off your sightseeing on the 21st (Sat) early enough to go by car to Yellowstone National Park. Get outdoors at Grand Canyon of the Yellowstone and Old Faithful. Explore hidden gems such as Lamar Valley and Solitary Geyser. 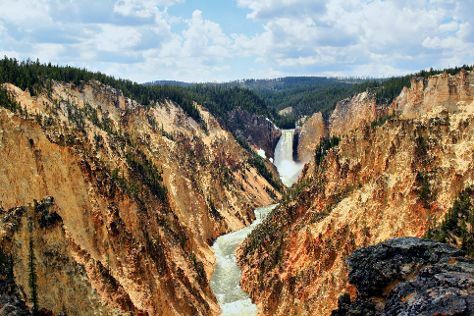 Spend the 26th (Thu) exploring nature at Yellowstone National Park. Next up on the itinerary: take your sightseeing to a higher altitude at Elephant Back Mountain, hike along North Rim Trail, witness a stunning natural landmark at Aurum Geyser, and get impressive views of Monument Geyser Basin. To see maps, where to stay, traveler tips, and other tourist information, use the Yellowstone National Park holiday builder . Drive from West Yellowstone to Yellowstone National Park in 1.5 hours. Alternatively, you can take a bus. Traveling from West Yellowstone in March, expect slightly colder with lows of -14°C in Yellowstone National Park. Wrap up your sightseeing on the 26th (Thu) to allow time to drive to Jackson Hole. Get in touch with nature at Grand Teton and Wind River Flyfitter. Explore hidden gems such as Grand Targhee Ski Resort and White Pine Ski Resort. The adventure continues: hit the slopes at Four Seasons Resort, identify plant and animal life at Wildlife Safari at Spring Creek Ranch - Private Trips, stop by Lee's Tees, and go for a walk through Cunningham Cabin. 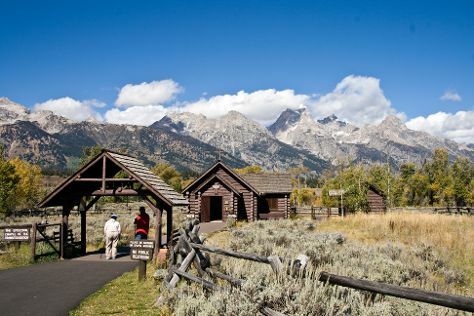 For traveler tips, other places to visit, and tourist information, read Jackson Hole trip itinerary planner . You can drive from Yellowstone National Park to Jackson Hole in 2 hours. Traveling from Yellowstone National Park in March, Jackson Hole is somewhat warmer at night with lows of -8°C. Wrap up your sightseeing on the 31st (Tue) early enough to travel to Winter Park. Winter Park is a home rule municipality in Grand County, Colorado, United States. Escape the urban bustle at Winter Park Resort and High Country Trails. Explore hidden gems such as Colorado River Headwaters Scenic Byway and Vasquez Peak Wilderness. It doesn't end there: ski along the peaceful trails at Devil's Thumb Ranch Cross Country Skiing. Plan my day in Winter Park using traveler tips and tourist information provided by Inspirock. Getting from Jackson Hole to Winter Park by combination of flight and bus takes about 5 hours. Other options: drive; or do a combination of flight, taxi, and bus. Traveling from Jackson Hole in March, expect Winter Park to be a bit cooler, temps between -4°C and -12°C. Cap off your sightseeing on the 3rd (Fri) early enough to go by car to Rocky Mountain National Park. Step out of the city life by going to Hidden Valley Sledding and Tubing Hill and Never Summer Ranch. Step off the beaten path and head to Hallett Peak and Many Parks Curve Overlook. Change things up with a short trip to Grand Lake Nordic Center in Grand Lake (about 38 minutes away). There's still lots to do: trek along East Inlet Trail, stroll through Andrews Glacier Trail, take in the spiritual surroundings of Chapel on the Rock, and get great views at Farview Curve Overlook. To find other places to visit, maps, and tourist information, read our Rocky Mountain National Park itinerary maker tool . Traveling by car from Winter Park to Rocky Mountain National Park takes 3 hours. Traveling from Winter Park in April, you will find days in Rocky Mountain National Park are much warmer (20°C), and nights are somewhat warmer (1°C). Finish up your sightseeing early on the 8th (Wed) so you can go by car to Breckenridge. Take a break from the city and head to Vail Mountain Resort and French Gulch. Explore hidden gems such as Breckenridge Ski Resort and Keystone Ski Area. Step out of Breckenridge to go to Beaver Creek and see Beaver Creek Ski Area, which is approximately 1h 05 min away. And it doesn't end there: hike along Sally Barber Mine Trail, look for gifts at The Cheese Shop of Breckenridge, hit the slopes at Frisco Adventure Park, and glide through natural beauty at Gold Run Nordic Center. For photos, ratings, reviews, and other tourist information, use the Breckenridge online tour planner . You can drive from Rocky Mountain National Park to Breckenridge in 3 hours. When traveling from Rocky Mountain National Park in April, plan for much colder days and a bit cooler nights in Breckenridge: temperatures range from 1°C by day to -6°C at night. Cap off your sightseeing on the 13th (Mon) early enough to travel to Steamboat Springs. Your inner history buff will appreciate Holy Name Catholic Church and Tread of Pioneers Museum. Step off the beaten path and head to Steamboat Ski Resort and Howelsen Hill Ski Area. There's still lots to do: stroll through Steamboat Powdercats, witness a stunning natural landmark at Strawberry Park Hot Springs, hit the slopes at Outlaw Mountain Coaster, and admire the sheer force of Fish Creek Falls. To find maps, where to stay, ratings, and more tourist information, refer to the Steamboat Springs online trip itinerary maker . You can take a bus from Breckenridge to Steamboat Springs in 2.5 hours. Alternatively, you can drive. In April, Steamboat Springs is somewhat warmer than Breckenridge - with highs of 13°C and lows of -2°C. Finish your sightseeing early on the 18th (Sat) so you can travel to Dallas. Visiting Burns Run East and Hagerman National Wildlife Refuge will get you outdoors. You'll discover tucked-away gems like Meridian State Park and Fossil Rim Wildlife Center. Get out of town with these interesting Dallas side-trips: Dinosaur Valley State Park (in Glen Rose), Confederate Reunion Grounds State Historic Site (in Mexia) and Fort Richardson State Park and Historic Site (in Jacksboro). There's more to do: see the interesting displays at The Sixth Floor Museum at Dealey Plaza and admire the natural beauty at Dallas Arboretum & Botanical Gardens. For photos, reviews, ratings, and tourist information, refer to the Dallas trip planner . Do a combination of taxi and flight from Steamboat Springs to Dallas in 5 hours. Alternatively, you can drive; or take a bus. You'll lose 1 hour traveling from Steamboat Springs to Dallas due to the time zone difference. Traveling from Steamboat Springs in April, things will get warmer in Dallas: highs are around 29°C and lows about 16°C. Wrap up your sightseeing on the 23rd (Thu) early enough to travel to Los Angeles. Your inner history buff will appreciate Santa Monica Pier and El Pueblo de Los Angeles. You'll explore the less-touristy side of things at Running Horse Ranch and Dolphin & Whale Watching. You'll find plenty of places to visit near Los Angeles: Anaheim (Disneyland Park & Oak Canyon Nature Center). Next up on the itinerary: examine the collection at The Getty Center, explore the fascinating underground world of Bronson Caves, enjoy the sand and surf at Venice Beach and Boardwalk, and admire the striking features of Bradbury Building. To find maps and tourist information, refer to the Los Angeles trip planner . Getting from Dallas to Los Angeles by flight takes about 5 hours. Other options: do a combination of flight and bus; or drive. You'll gain 2 hours traveling from Dallas to Los Angeles due to the time zone difference. In April, daily temperatures in Los Angeles can reach 28°C, while at night they dip to 15°C. Wrap up your sightseeing by early afternoon on the 28th (Tue) to allow enough time to travel back home.